Are you building a new single or two storey house and need a few interior design tips? It is one thing to know what you want the house to look like outside, but what about inside? Not just the layout but what goes on the walls, the floor and in your bathrooms. At Great Living Homes we have seen a few home interiors in our time and so here are a few tips for your current home or upcoming new home. Whether you are into single storey or two storey homes there is always a design tip that is applicable to both; and that is paint small rooms in light cl. For anyone who has ever set foot in a small, dark coloured room you understand this. A small dark room may seem like a good hideaway or retreat initially (maybe a bedroom or theatre room for example), but it will feel very cramped and a little claustrophobic over time. It is better to paint small rooms light because it opens up the space dramatically. USE MIRRORS; this tip is one that has been used for a long time. I remember the first time I walked into a room with a large mirror and almost continued walking into the mirror. Why? Because mirrors enhance light and add space. They make a room seem bigger and brighter, a great reason to get floor to ceiling mirror sliding wardrobe doors. A lot of interior decorators say that one of the most vital aspects to decorating your home is that it should reflect who you are, your interests and your personalities. So in saying that it is important to be ASSORTED IN YOUR DESIGN, use different patterns and textures. Along with patterns and textures you should also use both old and new/refurbished materials… anything that screams you. One tip I have really found helpful in my home is PLANT LIFE. Getting some green inside your house can add freshness to a wall, a bench, a shelf. Succulents are easy to maintain and are not an overstatement. Artificial plants are also in at the moment, if you go to a cafe you will find artificial plants in most of them. They are easy, and look great. Never underestimate the change a plant can make to a space. If we are speaking of small additions, that make a big difference the next tip is ADD PAINTINGS. When you walk into most people’s bathrooms they are pretty minimalistic and don’t have much going on. 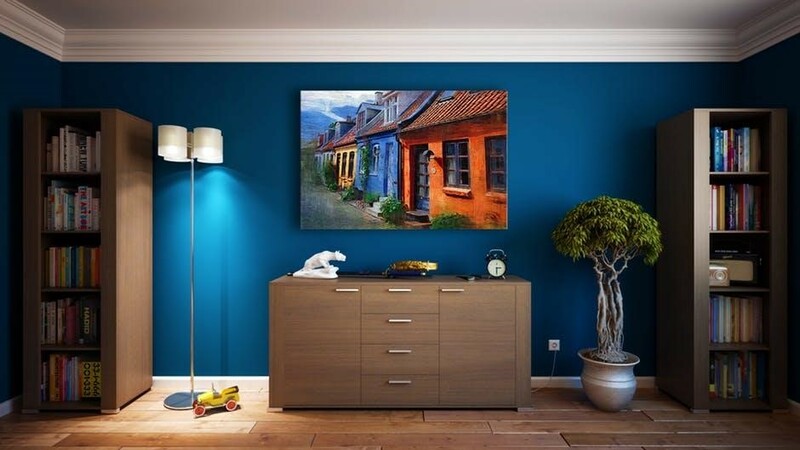 Why would you not want to add some warmth and fun vibes to the space by adding a painting? Just make it colourful. Majority of Home builders Mandurah will have a helpful staff member who can assist in your interior design. So make sure if you build a new home, bring some of your own interior design thoughts to the pre start meeting and create the best mandurah homes for you.